In real estate transactions, the deed is the instrument that transfers ownership of property from one party to another. The quitclaim deed is the most commonly used deed in the purchase and sale of residential property in Massachusetts. It plays a fundamental role in the types of assurances the seller makes when transferring its rights, and in how the buyer takes title. At Pulgini & Norton, a Boston real estate transaction attorney can help you in the purchase and sale of a home. With more than 40 years of collective experience practicing real estate law, we can provide the dedicated and knowledgeable representation you need throughout the purchase and sales process. The deed is the document through which one party (the grantor) transfers its interest in property to another (the grantee). Three types of deeds are used in Massachusetts residential real estate transactions. These are the warranty deed, the release deed, and the quitclaim deed. In the warranty deed, the grantor assures the grantee that it owns and has the legal right to transfer the property to the grantee, that the property is free from any encumbrance that is not specified, and that the grantor agrees to defend against any legal claims to the title that arose both during and before its ownership. The warranty deed provides the most assurances to the grantee. On the other end of the spectrum is the release deed, which offers the least amount of protection. With a release deed, the grantor transfers whatever rights it has in the property. However, the grantor does not make any assurances with regards to title. The quitclaim deed falls in the middle of the spectrum. With a quitclaim deed, the grantor transfers its interest in the property to the grantee by terminating (or “quitting”) any right or claim it has to the property. Under Massachusetts law, if a grantor conveys ownership with quitclaim covenants, it must convey title that is free from all encumbrances made by the grantor. It must also defend against any claims to title that arose during its ownership, subject to any exceptions it makes. In other words, unlike the warranty deed, the grantor does not cover any encumbrances made before its ownership, nor will it defend against legal claims to the title that precede its ownership. 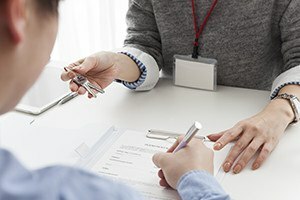 If a seller is conveying title through a quitclaim deed, it must clear up any third-party claims, or clouds on the title, that it incurred during its ownership before it conveys the title to the buyer. These clouds include claims, unreleased liens, or encumbrances. For instance, if a former spouse also has title to the property, that person will need to give up any of his or her rights before the seller can transfer ownership. This is because a cloud on title can limit the buyer’s ability to transfer his or her interest in the property later on. A title search will show any potential title issues. Our attorneys can review the report and advise you on how to address and remove any title issues. Tenancy in common, where the ownership interest passes to the tenant’s surviving heirs. A buyer will need to consider how it will take title to the property. We can help you determine which type of ownership is appropriate for you. Pulgini & Norton is dedicated to providing buyers, sellers, and lenders with knowledgeable service and representation. Our real estate lawyers can assist Boston residents and others in the purchase and sale of real estate, including deed drafting, title searches, and conveyances. Many of our clients come from communities such as Hyde Park, Malden, or Lowell. You can call our property transactions attorneys at 781-843-2200 for a consultation, or you can complete our online form.